Blues is a genre which has been evolving and expanding since the early 1900’s… lower case blues plays a modern, energetic style blues while still remaining true to its roots. Influences ranging from Hard Rockin Blues to New Orleans Funk with a mix of Jazz and Soul.. lcb is a group that thrives on improvisation and crowd response. Jake Banaszak’s guitar style wails, cries, sings, and shreds while BJ Muntz’s soulful voice and funky bass lines will blow your mind!! 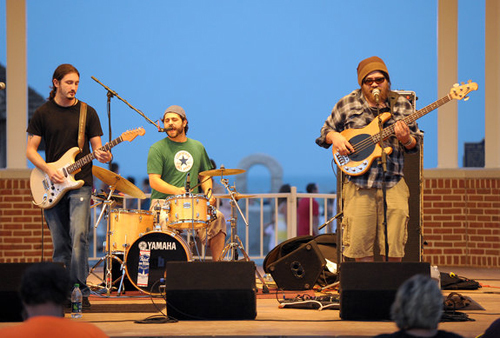 The band has shared the stage with greats such as Buddy Guy, Kenny Wayne Shepherd, Los Lonely Boys, Robert Randolph and was selected as Best Band in Delaware 2009 in Delaware Today Magazine.